Lovely Grapes: How do you like your Riesling? Max and I attended a seminar recently. The theme was how different soils affect the wine. Very interesting. Chablis was one of the examples, where the Kimmeridge clay of the best vineyards give wines that distinctively differs to the ones made from soils based on Portlandian soil. Both calcareous, but so different. We compared a Petit Chablis with a Première Cru, both from the cooperative La Chablisienne. The first was nice, but rather one dimensional in its citrus freshness. The latter with more body and pronounced notes of butter scotch in addition to the citrus and yellow apples. Fresh, but with so much more complexity and a rich buttery texture. Concentrated and very long. 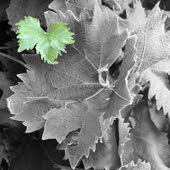 Riesling is another grape that clearly reflects the type of soil. To our great delight this was illustrated on the tasting by some Alsatian wines. As profound fans of this lovely French region, we always enjoy to have some of its exquisite liquid in our glasses. As the geology of Alsace is so varied, there are quite different soils found among the 51 Grand Cru vineyards. Marl and limestone is rather frequent, e.g. the Furstentum, Altenberg de Bergheim and Mambourg, while granite is found in Brand and Schlossberg. There is in fact even one Grand Cru with shale, the Kastelberg in Andlau. These Rieslings are said to have a bit of musk aroma, even though we not have had the opportunity to try by ourselves. Would have been interesting to taste and see if there is any truth behind that suggestion. Back to the main question. What can the soil do to the Riesling? Well, Max and I learnt that when it is grown on granite it will be fruitier. 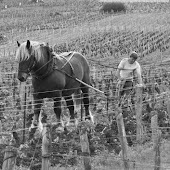 Limestone and marl will give less fruity wines, but the calcareous ground is on the other hand said to bring out more power. Josmeyer's Grand Cru from Hengst is an example of the limestone based Riesling. Rich, full bodied and with more power than the one made of grapes from their granite Brand vineyard. Paul Blanck gives us another interesting example. The Furstentum, calcareuous, to be compared with the Schlossberg, granite. The latter has however in the 2008 a rather restrained fruitiness. There is an elegant minerality, not found in the Furstentum, which has a more floral appearance. The conclusion; Alsace Riesling Grand Cru can differ considerably from each other, but the renowned producers never make us disappointed.